IT'S TIME TO TEACH ENEMIES THE LESSON OF THEIR LIVES! 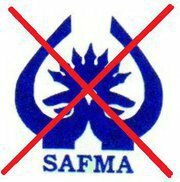 Clear Qur'anic orders on #SAFMA and Anti-state media have been shown in black-and-white in this video. Direct RAW links of SAFMA and alikes, their links to powerful ex-RAW Chief Vikram Sood and their malicious agenda against Pakistan has been identified. You need to immediately and forcefully take the steps mentioned at the end of this video to TAKE ACTION YOURSELF against these enemies of Islam and Pakistan. Play your role in this war! YOU HAVE THE POWER TO CONTROL PAKISTAN'S DESTINY, SO DO IT! !